Minion still wants to "update" my Git/SVN repositories. Text is still too small and low-contrast. Still too many bad "update" suggestions. Way too easy to uninstall an addon by accident, no confirmation, and no Recycle Bin. Takes forever (3 full minutes according to the log). The "progress bar" is pointless since it just bounces back and forth instead of showing the actual progress of anything. Previous versions showed a running log of which addons it was scanning, not just "detecting addons". Even if it still took the same amount of time, it would be less frustrating if there was a clear indicator that things were actually happening. Addons with .git and .svn (and presumably .hg) folders still not ignored. This can't take more than 30 seconds to code into the startup scan, but makes the "Auto Update" feature completely unusable for addon developers, as well as making the app require a lot more time and effort to set up. Uninstalling an addon through Minion should have a confirmation, and should absolutely send files to the Recycle Bin instead of deleting them outright. While going through and telling it to ignore several dozen local Git repositories, I accidentally clicked "uninstall" -- which is right next to "ignore" and both are tiny -- and had to clone a new copy of the repository since that folder was just gone. Luckily it was a released addon that I hadn't touched recently, or I could have had to restore from a cloud backup, or even lost work. Obviously this will be less of an issue for normal users, but there's not even a message saying the addon was deleted. Someone could easily think they clicked "ignore" -- since either way the list will update so that the addon isn't shown in the "needs updating" section at the top -- but have clicked "uninstall" instead, and not notice until much later, like when they get into a raid and are pulling their hair out trying to figure out why a crucial addon "isn't working". After this experience I'm a little scared that I may have done this myself. Text still too small in most places. In the above screenshot, this applies to addon titles, author names, category names, version strings, and the "sort by" dropdown label/value. The super-low contrast is still painful. I understand theming and accessibility aren't high priorities, but would it really hurt to do something as simple as make the text brighter? In the above screenshot, addon titles in white are okay, though between the small size and bad rendering, still far from comfortable to read, but author names are unreadable at a normal viewing distance. Text on many buttons is truncated: Upd(ate) on the Installed tab; Ba(ckup), Re(store), and Del(ete) on the Backup tab. This is visible in the screenshot. Version strings on some addons are still truncated. Examples: "60000.26-Release" is truncated to "60000.2..." and "6.0.0.141030" is truncated to "6.0.0.14...". The cursor still gets stuck in horizontal resize mode <==> after mousing over the right edge of the window. Moving to the left half of an addon row temporarily fixes it (changes to pointing hand) but it goes back to <==> when leaving that region. Moving out of the addon list (eg. up to the Installed / Find More tab area) permanently fixes it, at least until the cursor moves over the right edge of the window again. I can consistently reproduce this, whereas before it wasn't a 100% occurrence. Clicking the left half of a row still pops up an info window, and this is still annoying. Clicking a row in any other program selects that row. Opening a popup window should require clicking a clearly marked button, or taking some other obvious action. Just clicking on something that doesn't resemble an action item in any way, shape, or form should never spawn a popup. Scrolling the list of addons on the Installed tab is no longer laggy. 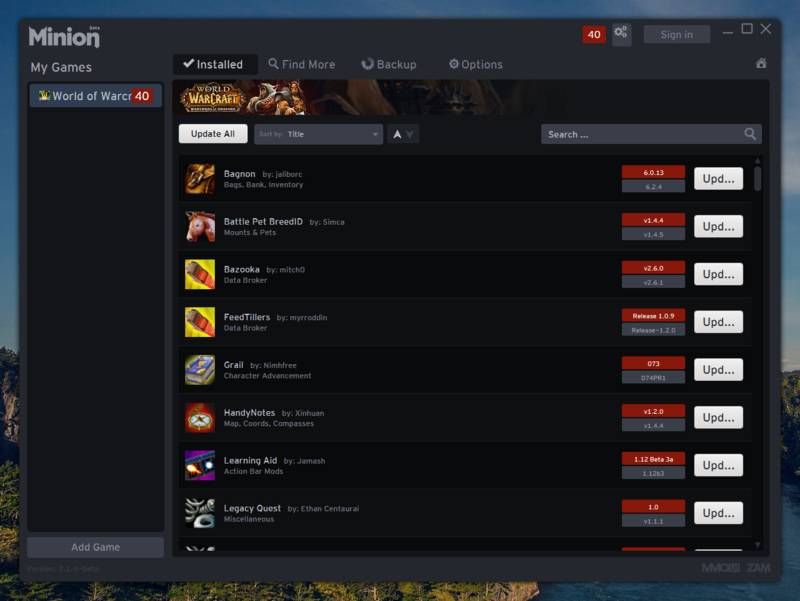 However, when scrolling quickly through addons that are up to date, it looks like the "update a row" routine is running a little behind the main scrolling routine, since the red box that would contain the "new version" if the addon had an update is briefly visible on the last visible row while scrolling. This always happens when scrolling by dragging the scroll bar, occasionally happens when scrolling with the mouse wheel, and never happens when scrolling by clicking-and-holding or repeatedly clicking the scrollbar arrows (that doesn't scroll fast enough to make it happen). There should be some kind of visible indication that an addon is being ignored. "Badapples" is detected as "Cirk's Badapples - Fan Update" which hasn't been updated since 2010. I've reported that addon from its page and requested it be moved to Outdated, but I'm pretty sure I've done that before and nothing happened. Ideally it should just be deleted, but I'm really sure that won't happen. "Combuctor" is detected, but I don't have it installed. This is probably due to the presence of the "BagBrother" folder which is a helper "addon" included in both Combuctor and Bagnon, which I do have installed. Bagnon was correctly detected. The "BagBrother" folder should be ignored, though I'm not sure what the best way to generalize this would be. Maybe ignore folders included in an addon's ZIP whose names don't contain any words that are in the addon's title? The other Ackis Recipe List profession modules probably aren't detected either, but I don't have them installed. Basic ABC sort would also address OPie's ridiculous "hurricane style" versioning scheme (eg. Lime 6 vs Tomato 3) but it's probably not worth considering that since it's only one addon and its author doesn't upload new versions to WoWI anymore anyway. There are some more, but I didn't bother listing the impossible ones, like comparing release versions with alpha revisions/hashes. I agree with most of this but not with the "Text is still too small and low-contrast." part of your post. Have you Tested your Monitor settings about the contrasts? What resolution is you Monitor? 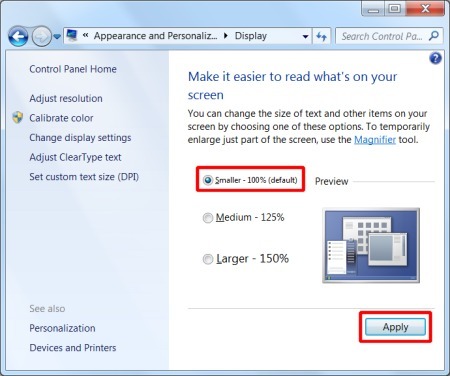 What Text size did you set windows to? 100%? Last edited by Tonyleila : 09-22-15 at 01:01 PM. 100% agree. Dark grey text on a black background is a big design no no, regardless of your monitor settings. Also agree that the text is way too small. People with a visual impairment (like me) will have a hard time seeing the text. We already sit at our computers far longer than we should, and having to deal with poor contrast and tiny text just adds more uneccessary eye strain. Yeah, it's not a monitor issue, it's a visual acuity issue. I'm quite nearsighted and have a lot of astigmatism, even with glasses, so small text is hard to read, and small text with low contrast is even harder to read. I can see everything but the 1 in your "contrast test" image. I'm sure if I turned up my monitor brightness, I could see that too, but then normal things are too bright. There's no reason for anything to be that low-contrast if it's meant to be read. I have the system font scaling set to "Medium (125%)" but Minion doesn't seem to respect that setting... or if it does, then the text must be literally microscopic at 100%. I can see the black 1 (between the 7 and the 5) but it is very hard to get it. Should I see it easily to have the right settings in the monitors ? The white one is much better visible. Hmm very odd I have set mine to Medium 125% too but I can't resize the window in any way that makes the "update" buttons truncatede as I see it on your screenshot. If you can see both the black and the white 1 you maybe have VERY good monitor like a calibrated 1000$ Eizo and yes it has to be hard to get even then. 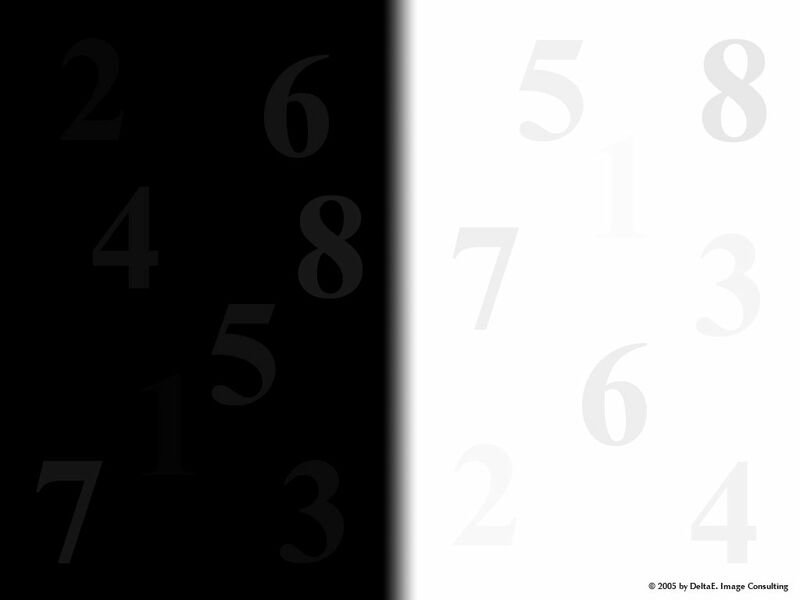 For normal users its optimal if you can see the black white 2. I posted this because I have sent this pic to some ppl that coud headly see the 4! Last edited by Tonyleila : 09-23-15 at 11:41 AM. OK, I am glad that I am not the only who feels the loading of the AddOn list takes waaaayyyyyy too long and is frustrated at the lack of feedback from the client (the bouncing "progress bar" and "Detecting AddOns" message). An actual progress bar and feedback on what AddOns are being scanned (as Phanx suggests and was previous behavior) would be great so I know that Minion is actually doing something. Usually if a program just sits there (with no feedback after I have issued a command), I start hunting for it in the Task Manager as my intuition tells me it has hung and the process needs to be killed. Thank you for the feedback and I agree that the UI needs some work. I also appreciate the details about the version detection issues. We have not had a chance to put in the smarter version detection code and also had some detection improvements that havent gone live yet. I'm not sure why its taking so long for you to start up. For me on almost any system I've had my hands on its only taken about 20sec on a fresh install (With either WOW installed or both WOW and ESO) and then only a few sounds there after. I know this is happening to some others too so it would be nice to figure out why its happening. I hope to get back to Minion soon however right now there are some things going on preventing us from doing that. We havent been able to work on Minion for a while now . Hopefully we can say more about it soon. Last edited by Dolby : 09-24-15 at 01:01 PM. I also have wow and eso installed. however sometimes Minion hangs up and needs VERY long to start, I had timers from 2 minutes to 20 minutes (where I forgott I opend minion in the background and later it was still loading). I still only use minion to update my ESO addons because most of the tome it works fine with the version. Last edited by Tonyleila : 09-24-15 at 03:25 PM. If you can see both the black and the white 1 you maybe have VERY good monitor like a calibrated 1000$ Eizo and yes it has to be hard to get even then. For normal users its optimal if you can see the black white 2. I can see the 1s (faintly) if I turn up the brightness and contrast to 100% on my monitor, which is a 7-year old Sceptre that cost about $300 7 years ago, so I don't think a monitor needs to be *that* good to see the 1s. Only the first load after installing took 2 minutes; subsequent loads --- or at least the one I just timed --- take 14 seconds from the time I click the Minion icon to the time the program displays a list of updates. I also just timed the Curse Client, and it took 10 seconds to do the same, so I guess it's not that much slower. The lack of meaningful progress indicators probably make it feel slower. Well, somebody has to say it: I love the color scheme. As someone with chronic migraines with the delightful tackon of light-sensitivity, the dark interface as it currently stands is very, very welcome, and my bespeckled, astigmatic eyes have zero trouble with it. So, pretty-please-with-sugar-on-top, while you're trying to make the above folks less grumpy, please consider doing it with a 'selectable style' approach.